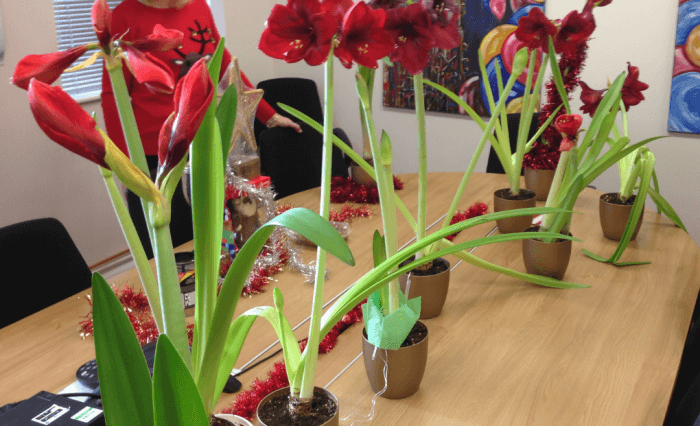 Chemoxy held its annual amaryllis competition, in which various departments have five weeks to grow an amazing Amaryllis which must have at least one fully open unblemished flower and is judged on beauty, form, elegance, shape, colour and ability to stay up unsupported! The competition is a great way of team building within departments and fostering some healthy competition internally. Billingham Site was the jubilant winner for the first time exceeding all expectations despite the arduous trip to Middlesbrough from Billingham site for the judging. Congratulations to all the competitors.